Featured in Arlington Magazine Jan/Feb 2015 issue: "12 Local Restaurants That Have Stood the Test of Time"
Hello friends! Check out our latest write-up in the current issue of Arlington Magazine. Food writer Jessica Strelitz profiles 12 local time-tested restaurants that have become beloved dining institutions. 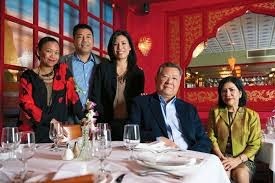 Duangrat's Thai Restaurant was established by Ed & Pookie Duangrat in 1987 and has been managed by second generation owner/ operator Eddie Duangrat since 1997.